ST. PETERSBURG, Fla. — August 2, 2005, was the happiest day in Alicia and Nic Kalojiannis' life. "Everything was great. We just bought our house and he was perfect," said Alicia. "He got a cold and then from there everything fell apart," said Alicia. His body was not able to absorb formula. Tests found nothing wrong and doctors agreed Nicholas' system just needed to work its course. "Being a first time mom, I thought maybe this is really a bad stomach virus," said Alicia. But, Nicholas started withering away, leaving physicians stumped and a little boy facing years of hospital visits, undergoing a bone marrow transplant at three years old and at the age of 8 still getting fed by a tube. "Not knowing what he has hurts because as a mom you want to be able to fix it," said Alicia. ​It would be another mom finally giving Alicia and Nic their answer — Dr. Jennifer Leiding miles away working on her fellowship in Washington D.C.
Dr. Leiding was determined to move back to her home of St. Petersburg and make a difference — and she did. Now a doctor at John Hopkins All Children's Hospital, she took over care for Nicholas 18 months ago. The little boy was again fading away fast. "I think we were all at our wits end," said Dr. Leiding. Dr. Leiding used her training in immune deficiencies and finally figured out what mystified doctors for 12 years. A gene mutation that doesn't even have a name. "His is one of the more rare of the rarest," said Dr. Leiding. She had a solution but it wouldn't be easy. 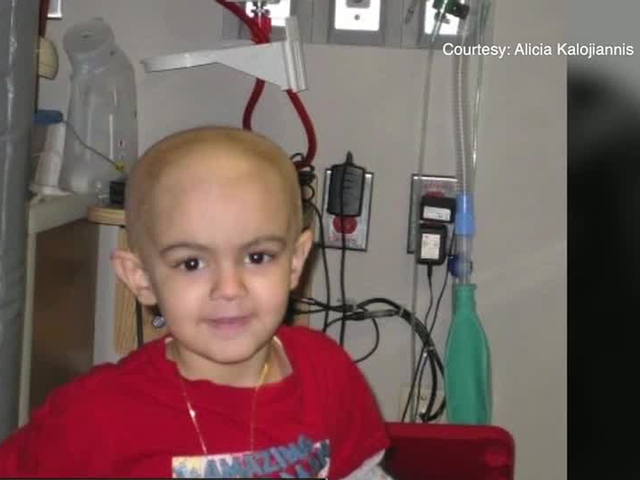 A drug for cancer patients not FDA approved for Nicholas' condition. Dr. Leiding had to convince insurance to pay the steep cost. "There are very things in medicine that work that quickly and this is one of them," said Dr. Leiding. ​The medicine worked within weeks, Nicholas is a new kid. He is now finally going to school full time, playing baseball and even traveling to Greece this year. A trip on the family's bucket list. "100% I think it was lifesaving," said Dr. Leiding. The doctor is not stopping. "She is studying his blood, his DNA to help others," said Alicia. And with the help of the Kalojiannis, Dr. Leiding is hoping to publish her findings. That could potentially open the door for FDA approval for those like Nicholas. "I think he is special, I think he's meant to be here to help others and I think he truly is writing his own story," said Alicia. Thanks to a doctor finishing her story, by coming home. "I am glad I was able to bring something back that was lacking and really helps the kids," said Dr.Leiding.